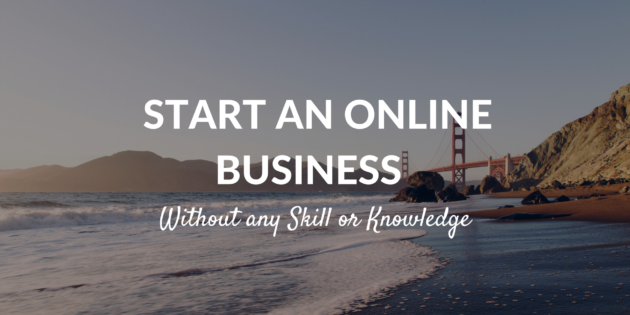 When I talk to people who would like to start an online business, there are some questions that come up again and again. They reflect the obstacles and fears that are common to those who want to generate additional income online. Question 1. Do I need to be a computer ‘geek’? Answer – No! The days when you needed to be able to write computer programs and understand HTML code to create your website are long gone – thank goodness! Developments in technology mean that if you can follow instructions you’re able to set up your own online business. There are various ways that you can generate income online – 2 common models are selling your products and recommending other peoples’ products. Here are some of the basic things that you’ll need If you want to sell your products from your website. A computer, an internet connection, your domain and hosting account, a shopping cart for selling and collecting the money and an autoresponder service to stay in touch with your customers. Now that might sound like a lot, but when broken down into its parts it’s not complicated, and you don’t need expert knowledge to set the system up. Question 2. Do I need lots of money? Answer – No! A few years ago it would have cost a significant amount of money for website designers to create your site for you. Some people still choose to do this, but it’s often because they aren’t aware of the easy to use packages that are now readily available. You could set up your WordPress site for free by following the directions. It’s a powerful, flexible, package that has all the features that you’ll need, plus a lot more. You’ll need a small sum of money to register your domain name (we’re talking tens of dollars for two years), a small monthly sum for hosting your domain and the costs of an autoresponder service (again in the low tens of dollars). So the costs of setting up an online business are much smaller than those for setting up traditional bricks and mortar business, with all the costs involved in that. Question 3. How much time do I need? Answer – This will vary depending on what your plans are. But it’s perfectly possible to do the research work and set up your own online business while still fulfilling your other responsibilities. These could be family commitments, full-time employment, leisure activities, hobbies, etc. Of course, the more time you can commit to your online business the quicker you will be able to set it up and start making sales. But most people aren’t in a position to work at it full-time, and I recommend that you come up with a realistic timetable that suits your personal circumstances. Many find that allocating a small amount of time on a regular basis e.g., 1 hour a day is better than an intensive session of several hours. That way of working on your online business means that it becomes a part of your routine and is much more likely to be sustainable into the future. In summary, if you can follow simple instructions and have a small amount of money that you can invest in starting your online business, you need to have all the tools you need to get going! If you need help finding the right tools that will help you start your online business or to take your business to another level, join our community HERE.